Huss/Nininger Collection of Meteorites and Tektites, Copyright 2019. During 2018, New England Meteoritical Services conducted an extensive examination, evaluation, and appraisal of the Historic "Huss / Nininger Collection of Meteorites and Tektites" at the University of Hawaii. Over 4000 meteorites and related meteoritical specimens along with over 2,000 tektites were systematically examined, evaluated, and appraised. The finished Document of Appraisal contains over 6,000 descriptive Excel file lines. In the scientific study of meteorites, this collection began in 1925 by Dr. Harvey H. Nininger and continued with his son-in-law, Glenn Huss. 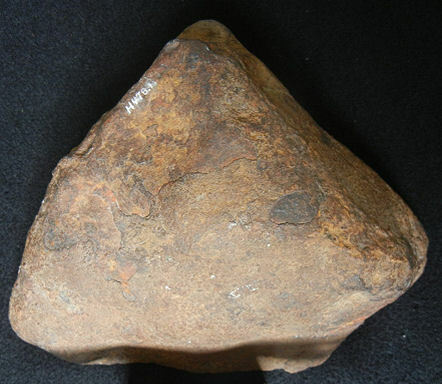 The Collection is historic and represents the foundational beginning of modern meteoritics. Eagle, Nebraska, enstatite chondrite, EL6, main mass, 3,451.6 grams. In the scientific field of meteoritics, the names Nininger and Huss are well known in both collector's circles and in the research arena. Dr. Harvey H. Nininger (1887-1986) was an American meteoriticist and educator. Between ~1925 and 1960, Dr. Nininger assembled the largest personal meteorite collection of the time. A portion of this collection was sold to the British Museum in 1957. A much larger portion was sold to Arizona State University in 1960 and served as the basis for founding the Center for Meteorite studies. 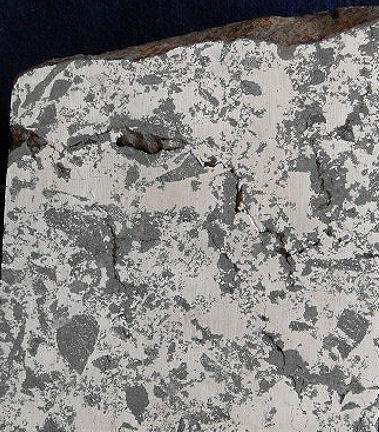 Dr. Nininger is considered by many to be the father of modern meteoritics, having recovered a substantial fraction of the meteorites available for study in the 1960s. He published 162 scientific papers and four books on meteorites. Dr. Nininger's son-in-law, Glenn Huss (1921-1991) trained under Dr. Nininger and then, beginning in 1960, continued and refined Dr. Nininger's fieldwork program for collecting meteorites. Over his career, he assembled a collection of similar size to that of Dr. Nininger. A portion of this collection was sold to the Max Planck Institut fur Chemie in Mainz, Germany, (in 1977-1982) and is now housed at the Senckenburg Natural History Museum in Frankfurt, and a second portion was sold to the Naturhistoriches Museum in Vienna, Austria, in 1987. The Huss/Nininger Collecton of Meteorites and Tektites described in this appraisal consists of the final portions of these two historic collections, plus a few additional specimens added since 1991 by Glenn Huss' son, Dr. Gary Huss. It is always humbling to work in the shadow of giants of any discipline. The examination, evaluation, and appraisal of this collection was conducted with all due reverence and respect for the Nininger and Huss family. Additional observations detailing the unique nature of examining, evaluating, and appraising this collection will be offered later on this page.